The entertainment industry around the world is not as pretty as it looks - especially for people working in it. 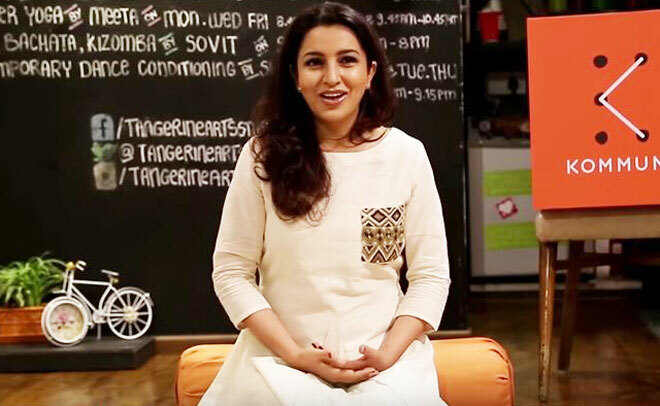 Tisca Chopra is the latest name in the long list of actors who have come out to speak about their bad experience with Bollywood's notorious casting couch. The talented actress, whom we saw in the most moving role in 'Taare Zameen Par', shared her story of escaping the sleazy director in the most creative way in a video uploaded by Kommune India. During the story-telling session of Kommune India, she shared how an influential director from a time when she was relatively a new-comer in the film industry. She had made her debut but had no other offers. So when a famous director approached her as a lead in his movie she grabbed the opportunity. She had no idea that working with him would mean agreeing to be his "bed squeeze". In the video, Chopra refers to the filmmaker as "RP or Reptile" and says that he asked her to meet him for an apparently "extravagant film." After seeing Chopra, RP told her, "You need to learn how to walk in heels. You need a manicure and you need to do a spa for your hair. And you need to learn how to ooze." The actress admits that she took RP's words seriously, adding that her friends were delighted to hear that she would star with such a big banner. But a few friends from the industry also expressed concern as they believed that RP had a not so great reputation when it came to actresses he had worked with. When they started an outdoor shoot Chopra was allotted a room adjacent to the director. On set, people could tell that RP was "getting fond" of her and despite that fact that his son was the assistant director of the film. One day, after directing Chopra in an intimate scene, RP told her to come to his room for dinner where they would "discuss the scene". Chopra knew what was coming her way but was in a fix. She however had drawn a plan to "Reptile". Watch the video to find out what happened next.